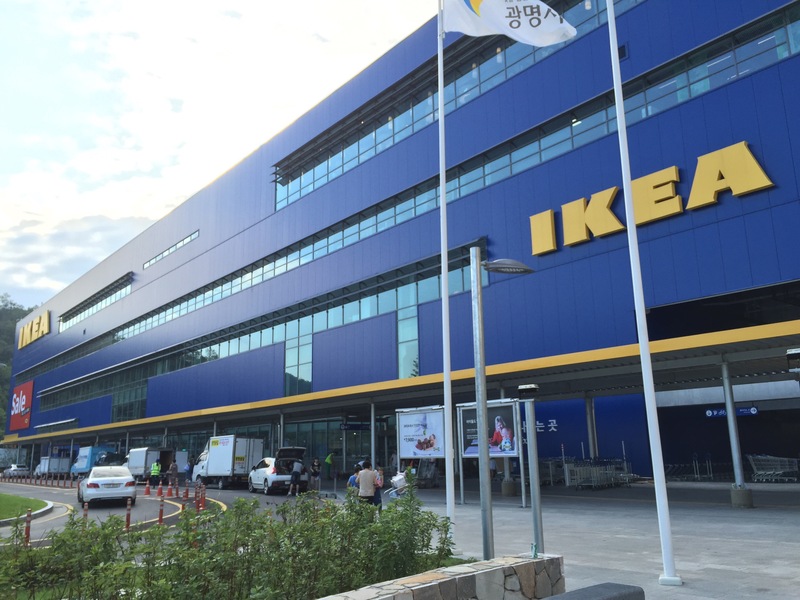 So over the weekend we decided we needed to take a visit to IKEA to see how it compares with the U.S. locations. 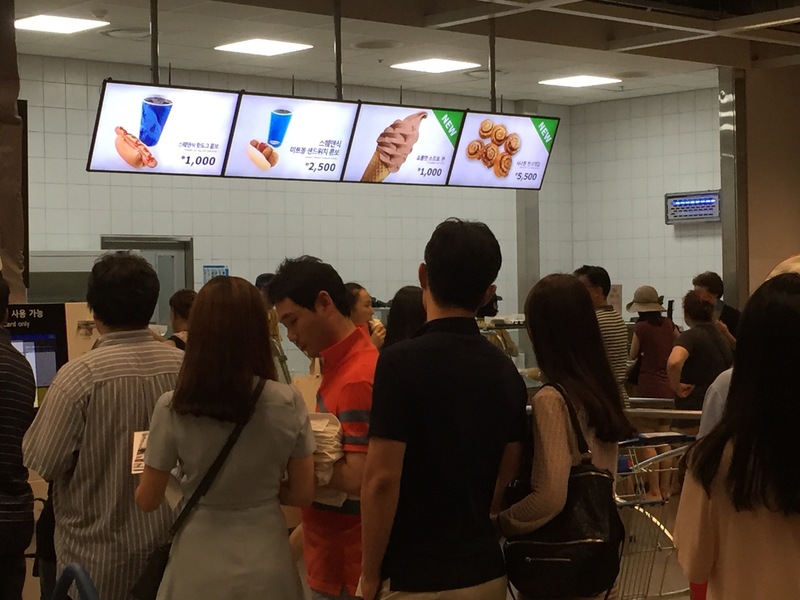 The IKEA is located in Gwangmyeong, about 45 minutes from our house. 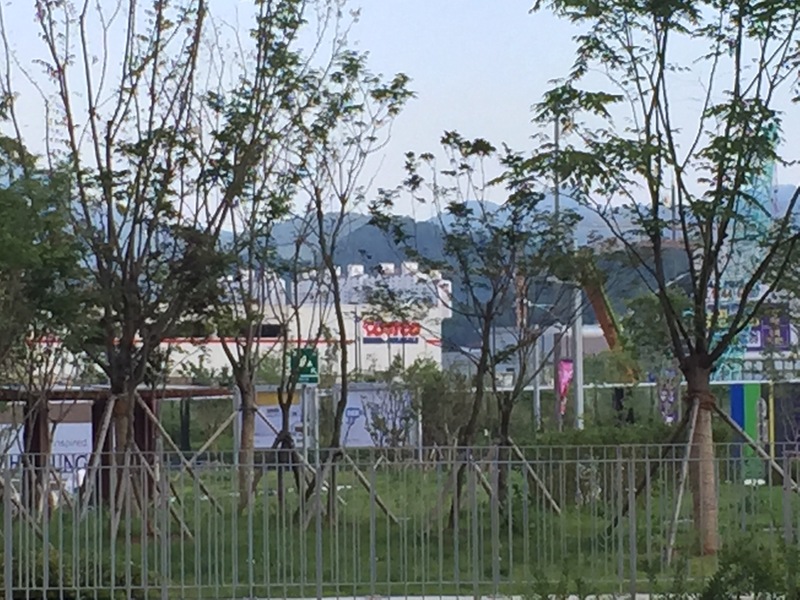 The IKEA, like Costco is huge! And it is definitely buzzing with people. 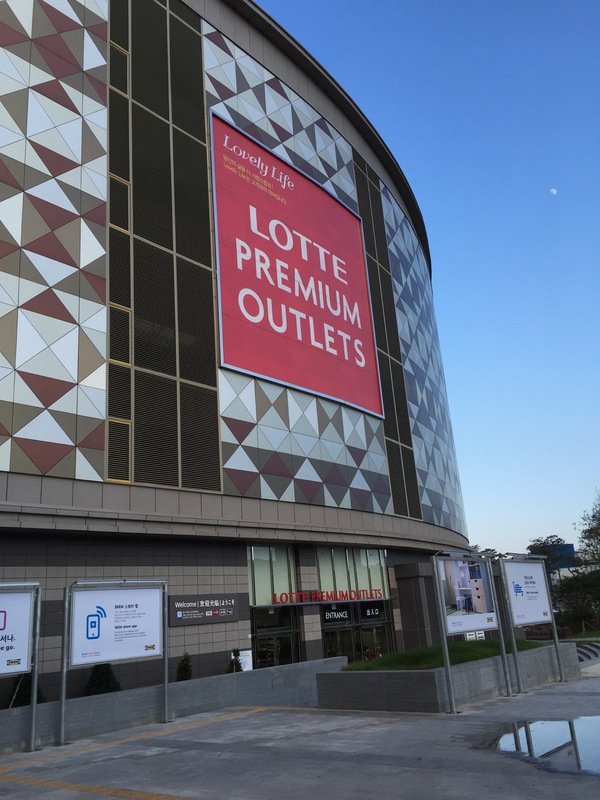 Right next to IKEA is a Lotte Premium Outlet and across the street is a Costco. 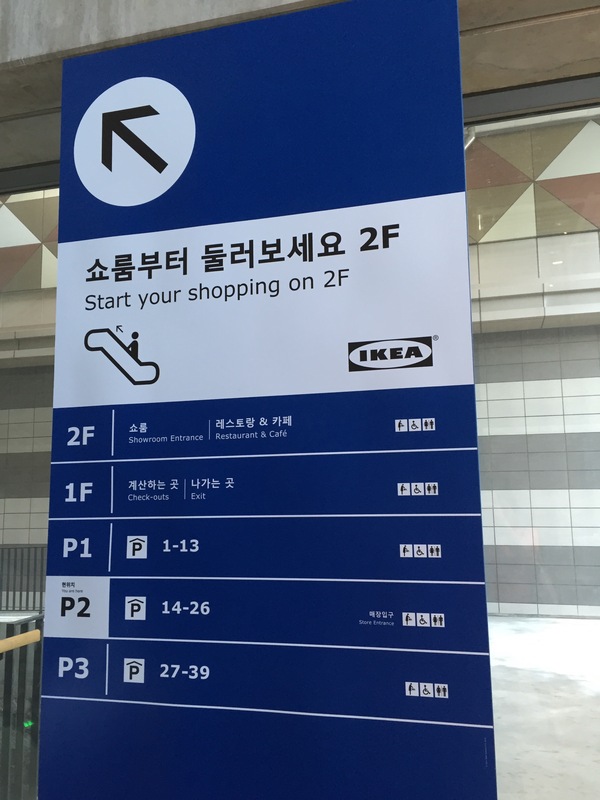 If you drive to IKEA, you will park in one of their 3 basement levels. The fun begins on the 2nd floor. Note that this IKEA has a child play center just like in the U.S.
We decided to start off at the Cafeteria for some dinner. The cafeteria was packed! 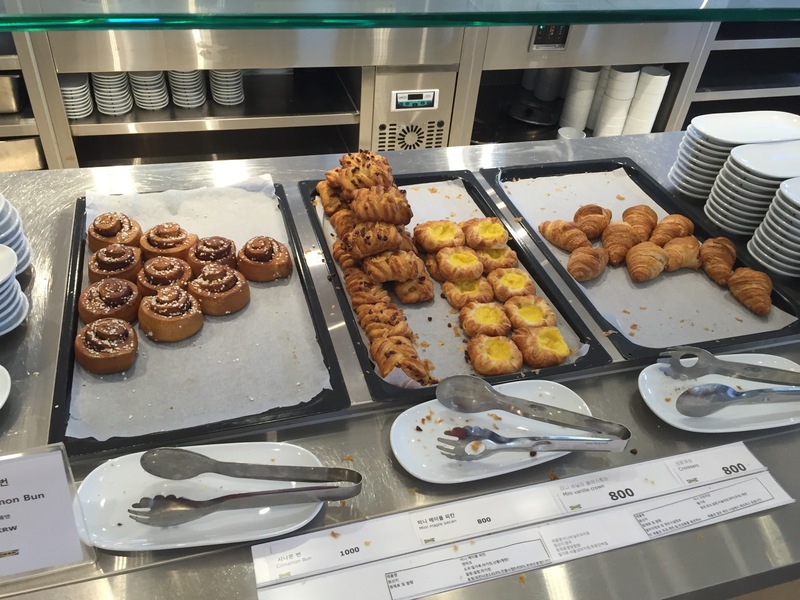 We were hoping that we’d see our familiar Swedish meatball platter and cinnamon buns and moved to get into line and see what noms we would find. 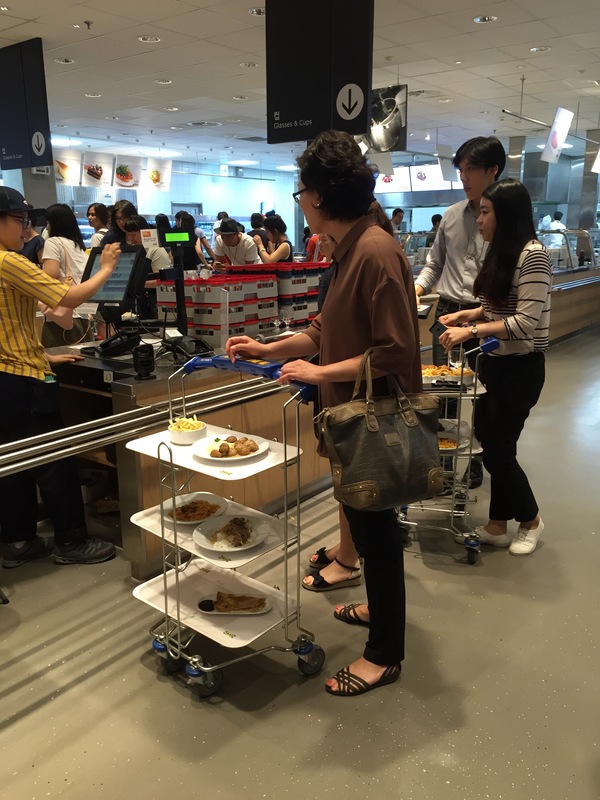 As we were waiting in line we noticed these great little carts for your trays. Almost every person leaving had at least 2 trays. There are some big eaters here, lol. 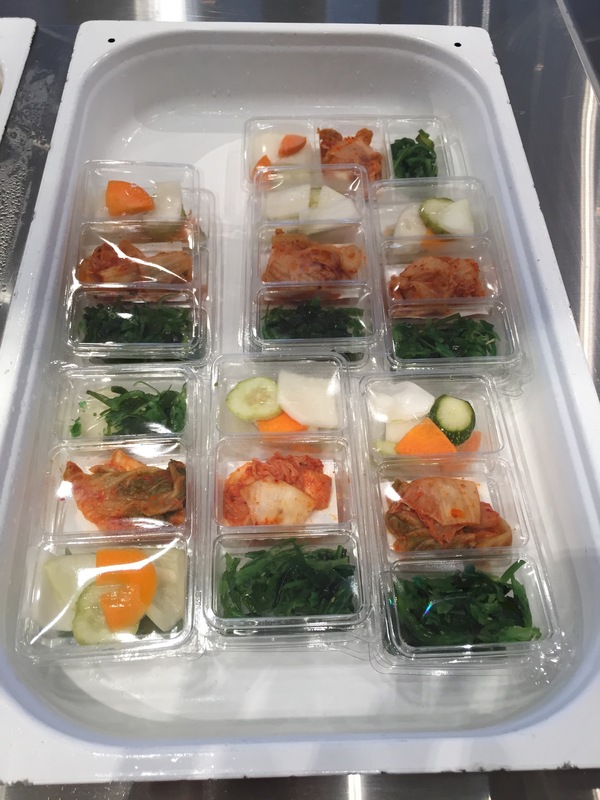 Did you ever think IKEA would serve kimchi!? Well they do! They also have a bulgogi rice and kimchi fried rice. However, we are happy to report that they do serve Swedish Meatballs with Lingonberry sauce. So I was saddened to see that the cinnamon buns are not the same as we are used to. There’s no frosting!! And the cinnamon bun was super stiff, not fluffy at all. 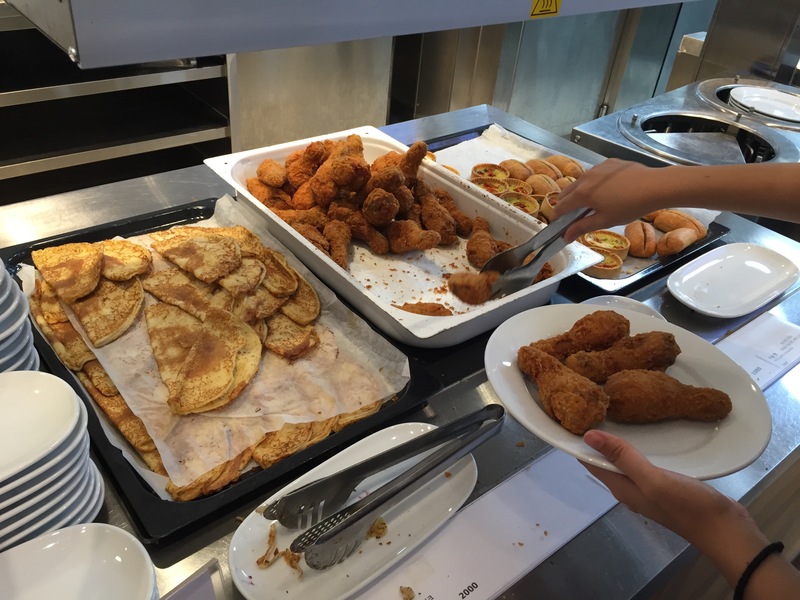 We were super excited to see Fried Chicken also made it onto the menu. We ended up with a nice little smorgasbord. 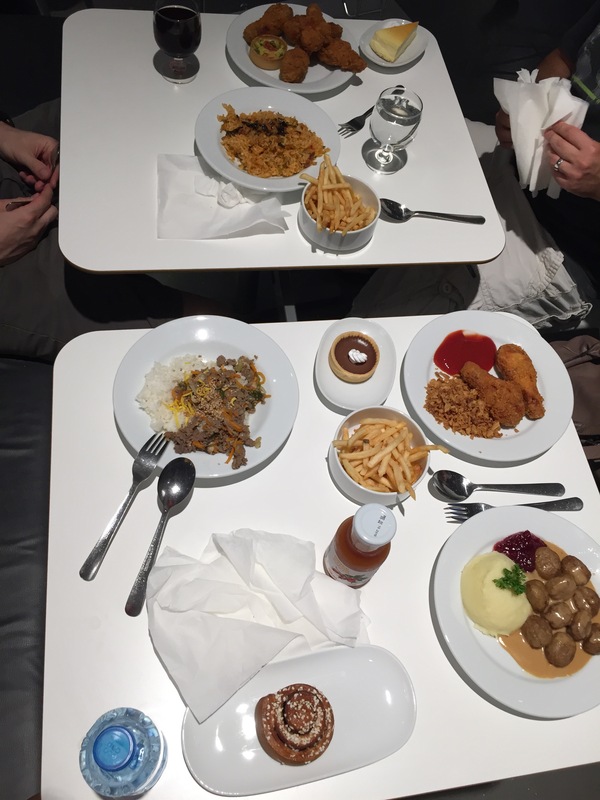 The favorites were definitely the Kimchi Fried Rice, Fried Chicken, and the Swedish Meatballs. Don’t worry if you don’t have time to stop in at the cafeterias, they still have the snack bar on the 1st Floor after you check out. Hot dogs, Meatball Sub, Ice Cream and Cinnamon Buns await you. 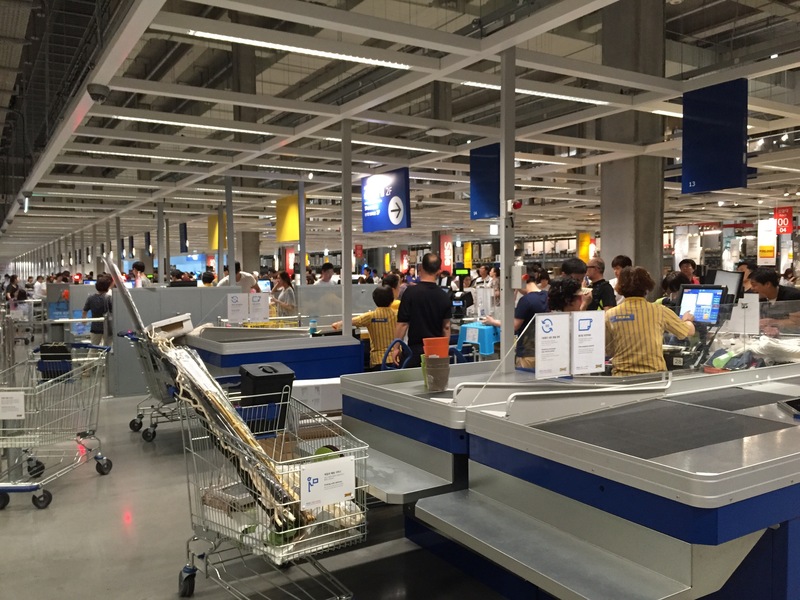 Overall, a lot of the things at IKEA are the same. 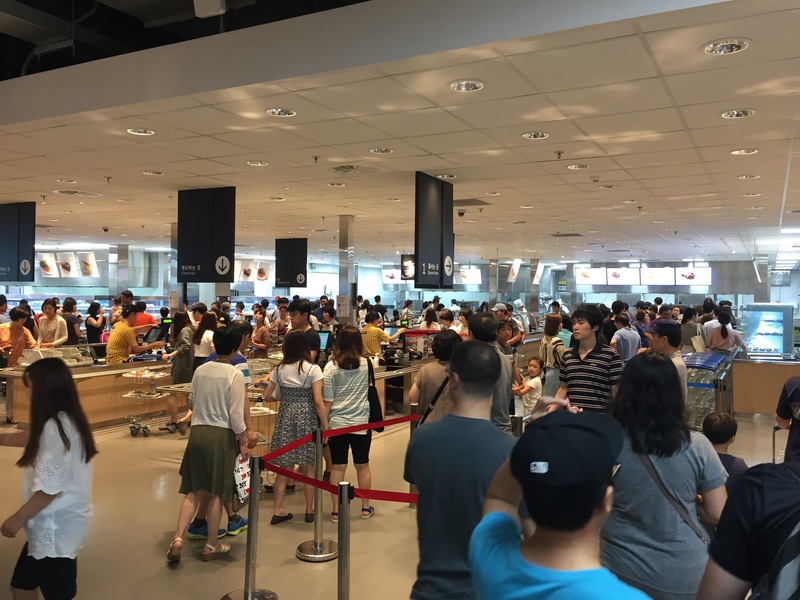 There are a lot of IKEA Family sale items, so make sure you sign up!